For all our customer, who want to try our LED technology, we are recommending start with Demo Kit. It’s a simple start package, which show you how LED Strip Studio system is working. 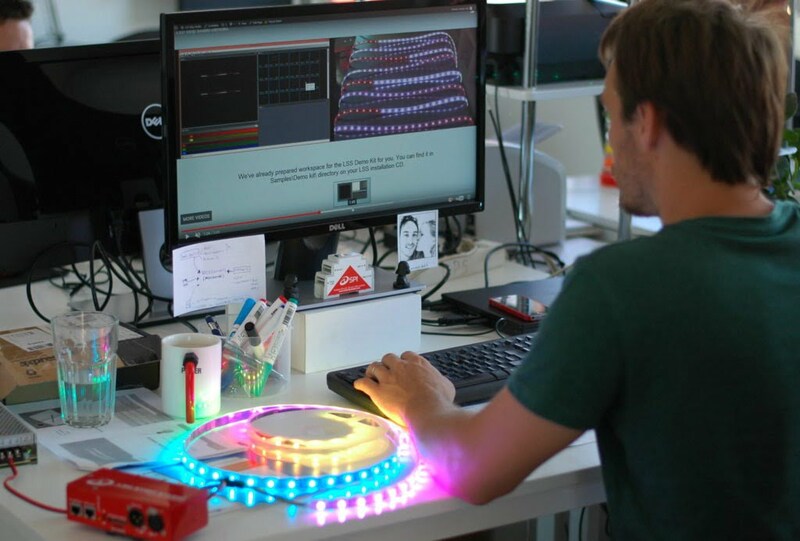 Except LED Controllers we prearranged workspace (LSS software) with effects and show for quick testing the system. What is Demo kit and who should use it? Demo kit serves above all customers, who want to try our LED technology and are purchasing with our company the first time. To make working with LSS system the easiest, we launched demo kit. 1 meter long Ethernet cable. The entire system is prearranged. Please, just connect it! There is not any thing you should do, besides connecting it! But, of course, complete installation and step by step tutorial is available here: Demo kit – Step by Step. If there is a possibility not to be satisfied with LED Strip Studio system, you lost nothing. There is a guarantee up to three months to refund your money after you send product back. Please, contact us! Don’t hesitate and let us know, because all our products are for you. We will be very happy if each of you will love them <3. We currently offer three set-ups of Demokit 3, depending on your preferences. Apart from the Pro version, remaining two hardware settings can be upgraded to higher versions. This is so far the best way how to get a professional LED pixel controller with LED control software for best price. how much for buyng the demo kit? can you send me in Italy? We’re sending you an email with cost. And yes, we can send it to Italy. We’re shipping products worldwide :).